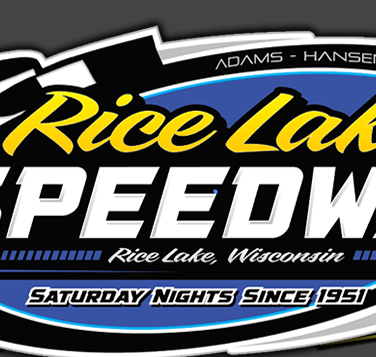 RICE LAKE, WI (June 29) – Racing action returned Saturday night to Rice Lake Speedway after an 18-day break due to the weather - four drivers found victory lane for the first time in 2013 and one driver won his second straight main event at the track. Aaron Wilson, Tito Viltz, Doug Wojcik and Dustin Doughty all visited victory lane for the initial time this year while Kevin Adams was the repeat winner. The drivers picked a good night to top their divisions because it was Kim Parsons Memorial Trophy Tour night and Steve Parsons was in victory lane to present each winner with a beautiful trophy for their accomplishments. Adams started eighth in what turned out to be a nonstop Modified main event. While Scott Miller got the jump on Mark Hanson and led the opening laps, Tim McMann quickly moved into the second spot and put the heat on Miller. Adams quickly moved up from the fourth row, finding a couple of holes to drive forward quickly in the field where he then began to challenge the leaders. With both Miller and McMann running the low line, Adams jumped up to the second groove and drove up beside McMann. Easing his way past his Father-In-Law, he then moved in on Miller. Scott was running a strong race and it took Adams a couple of laps until he drove past on the high side into the lead. Once in front he eased away from the pack, building a comfortable lead as the race remained under the green. Miller continued his best run of the year as he fought off all challenges from McMann to finish second while Mike Anderson raced past Paul Brust into fourth and that’s where they remained the rest of the event. Wilson was another driver who used the high groove to his advantage on the black, slick race track presented to the drivers Saturday. Steve Tesch started the feature as the leader, taking the top spot from Scott Zitelman and holding the position for several laps. Wilson quickly moved to the top side from the third row and quickly moved in to challenge Tesch as Eric Olson, Shane Kisling and Jason Forehand all moved toward the front. Wilson swept past Tesch to take over the lead and then began to put distance on the field. Olson worked into second and set after the leader but Wilson had opened up the better part of a straightaway over the field. All that went away with eleven laps complete when debris on the track triggered the yellow flag. On the restart, Olson was all over Wilson as he challenged for the lead. However, Wilson fought off Eric’s pressure and then gradually began to pull away again. Tesch found himself in a battle with Forehand for third while Bart Steffen and Zitelman battled for position. Wilson continued on as he drove away for the win with Olson, Forehand, Tesch and Steffen completing the top five. Tito Viltz pulled away from Mike Schnider at the start of the Midwest Modified feature to take a lead which he would hold for the entire event. In the early going it was easy for him as he put distance on the field. A great five car battle for second saw Schnider fighting with Grant Southworth, Kerry and Shane Halopka and Ryan Viltz for position. They did much jockeying for position before Viltz found an opening on the inside and shot into second. He then tried to track down his brother who had built up a comfortable margin. Southworth moved into third while the Halopka brothers continued to argue for a spot. Southworth suddenly slowed coming off turn two and gave up the third spot for the infield. Tito’s big lead dissolved when, with only two laps to go, a spin slowed the field, followed by another spin on an attempted restart. The third try was the charm and while Ryan tried his best, little brother Tito was the fastest in the family on this night as he drove on for the win. Ryan, Shane and Kerry Halopka and Schnider completed the top five. Rookie Street Stock drivers Troy Chaplin and Bob Wahlstrom battled on the opening lap of the main event with Wahlstrom taking the lead position. Keith Tourville started in the second row and moved in to challenge Wahlstrom as a wild scramble was going on in the first five rows of cars. Tourville found and opening on the low side and drove into the lead. Cody Kummer moved into the second spot until Doug Wojcik drove past him to take the runner up slot. Wojcik moved to the second lane on the track and with a power move, swept past Tourville to take over the lead. After that, Doug began to extend his advantage slowly but surely. Tourville continued to run second but there was plenty of pressure being applied as Jay Kesan gradually worked his way into contention. Sam Fankhauser, who started ninth, was also slowly driving to the front. The race remained under the green and Wojcik was cruising up front, safely ahead of the pack. Kesan continued his charge as he began to close on Tourville while Fankhauser moved past Kummer and continued to advance. However, the laps ran out and the leaders finished in that running order. Doughty started on the front row of the Pure Stock feature but his win was not an easy one by any means. While he was scored the leader of every lap, he had constant pressure on him for most of the event and several yellow flags to manage. Jared Amundson eventually found his way into the second spot and was glued to the rear bumper of Doughty. Jason Havel started eighth and charged his way up to third where he pressured both Amundson and Doughty for position. Two yellow flags in the last four laps set up intense restarts with Amundson all over Doughty and Havel looking both high and low for an opening. However, Dustin continued to hold his line and didn’t give Jared and opportunity as they crossed the finish line nose to tail, first through third. Nick Traynor came all the way from twelfth to finish fourth, right ahead of C.J. Wagner. For Doughty, it was only his second ever feature win at Rice Lake. The speedway has some interesting upcoming events. This coming Wednesday, July 3, is the always wildly popular Firecracker Special, featuring one of the finest fireworks displays in the area along with a full racing program in all five divisions. Fans are advised to arrive early and choose their favorite seats in the grandstand for this event. The rain date for this event is Saturday, July 6. However, if the program is completed as scheduled on July 3, the speedway will take Saturday night off and there will be no racing that night. On Saturday, July 13, the speedway will again come alive, this time to the sounds of unlimited Sprint Cars as the Interstates Racing Association (IRA) will be on hand with their winged cars for a complete show as well as racing in the other five classes. Billy Balog, a former Barron County resident, is seeking his sixth straight IRA point title and is expected to headline the show. Then, a new event will take place as for the first time, the speedway will host a special Tuesday night racing program on July 16. 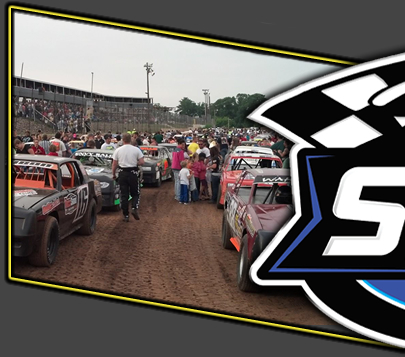 This Tuesday night race will again feature the five regular classes that race at the speedway and the Barron County Fair special will then allow everyone to enjoy the Fair as the track will take Saturday, July 20 off. 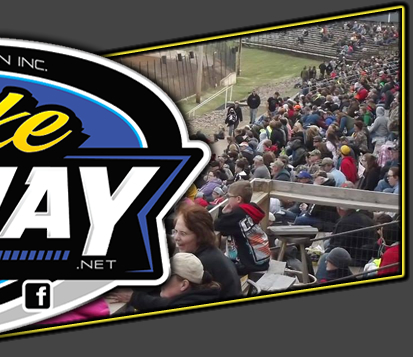 For more information on the speedway, check the speedway website and face book page at www.ricelakespeedway.net.